Nestled in peaceful neighborhood this stunning home is surrounded in a canopy of mature trees, waterfall, koi pond & incredible landscaping! Upon entering you'll love the bright open rooms! New front door lets the light shine in! Large Living rm great for catching up with friends. Dining rm will host your biggest celebrations in life! Kitchen is stunning with timeless white cabinetry, gorgeous granite counters, stainless appl, breakfast bar & tons of prep space for the most accomplished cook! Eating area looks over amazing party sized deck & yard! Family rm features beautiful masonry fireplace & leads you to screened in porch! 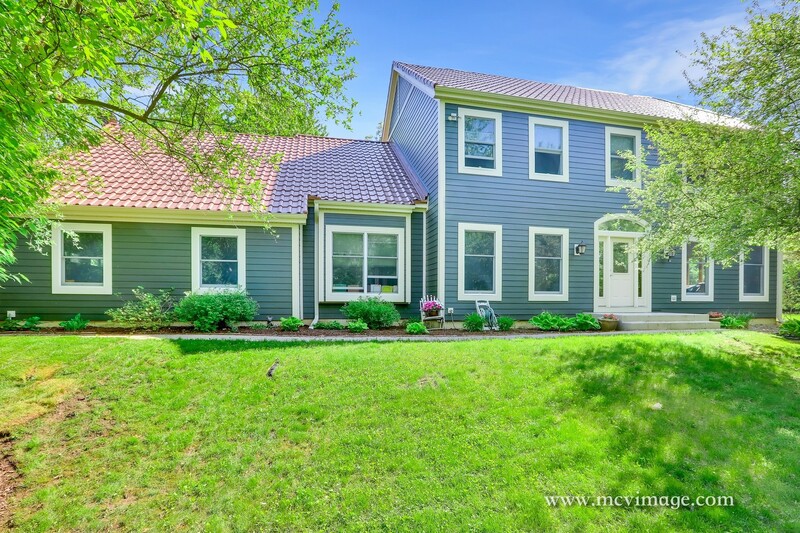 Bonus 1st Floor elements include FULL BATH, Laundry/Mudroom w/closet, 5th BR or Private Office! Master Suite holds 2 walk in closets & spa bath with ageless design to WOW! Full Finished bsmt offers workout rm, huge rec area w/warm ventless fireplace, 1/2 bath, gaming & utility room w/storage that allows access to garage! Storage Shed & SIMPLY STUNNING LANDSCAPE!